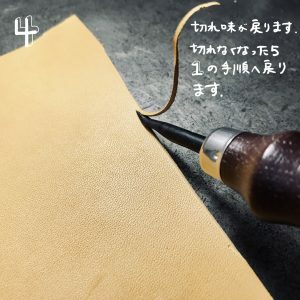 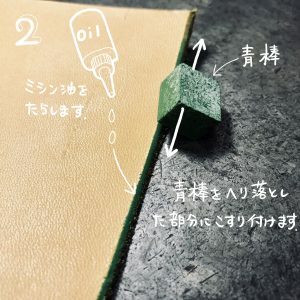 ③ put the blade part on the leather and pull off at a fixed angle while polish the blade. 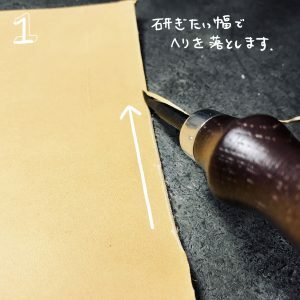 ④ You can get the original sharpness of the blade. 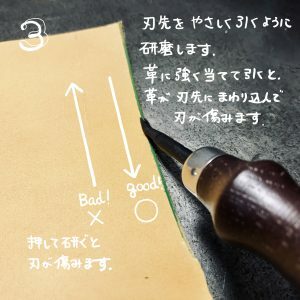 Repeat the above process (from ① to ③) when the blade becomes dull.